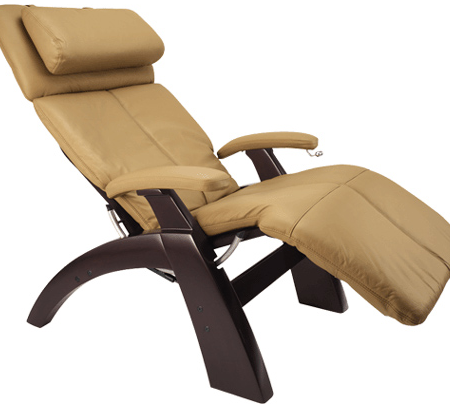 Zero Gravity The Perfect Chair from Ribble Valley Recliners - specialists in Zero Gravity The Perfect Chair. The perfect chair relaxes the body to give an effective feeling of weightlessness and fully supports the body to give relief from back problems and bone disorders. When fully reclined the perfect chair also improves blood circulation, whilst slowing the heart rate right down.The Perfect Chair body frame ergonomics are derived from the Zero-Gravity chaise position developed by NASA to support astronauts during their ascent into orbit. Incorporating the patented Orthonomic™ lumbar curve, the Perfect Chair body frame is designed to provide years of comfort and can accommodate individuals weighing up to 300 lbs. The Supply of this chair is seriously difficult, but at the Moment There is stock Available. Please ring to secure your order. Best Prices ensured.